Engineers, scientists, and manufacturing technologists have made many great advancements in video quality. Marketers have worked equally as hard to describe the changes with terms and acronyms such as Ultra HD, 4K, 8K, Wide Color Gamut (WCG), and Quantum Dot. Of the all the video quality advancements, resolution is perhaps the easiest for consumers to grasp, and the easiest for marketers to message. But what are the nuances and true benefits of resolution? How does frame rate affect resolution? What are the applications, and what are the implications on things like screen size, viewing distance, and bandwidth requirements to deliver higher resolution images? 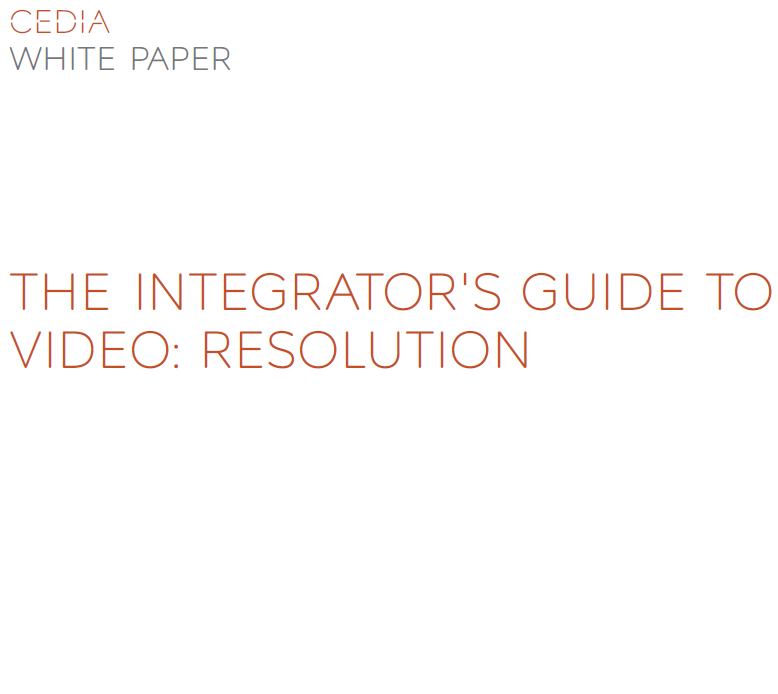 This white paper is part of the Integrator’s Guide to Video series. It focuses on the fundamentals of video resolution, as well as which formats and devices to use for a given application. Its purpose is to assist the technology integrator in selecting the right components and technologies for video display and presentation.